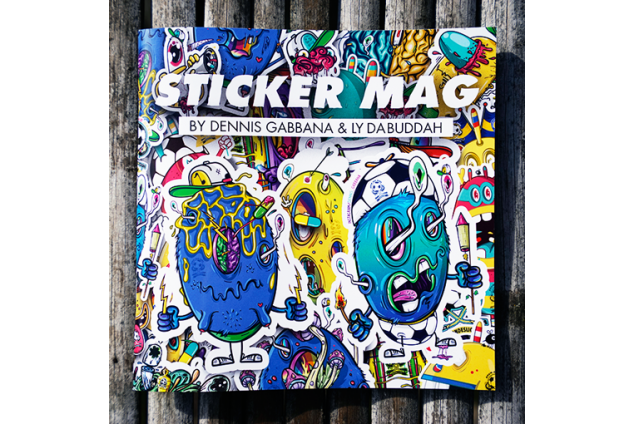 International Neighborhood proudly presents the first STICKER MAG by Dennis Gabbana and Ly Da Buddah! 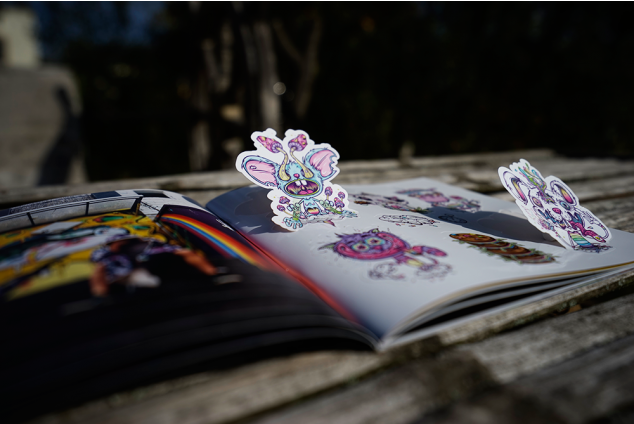 Based in Braunschweig those two graphic mad dogs collaborated on this lit issue. 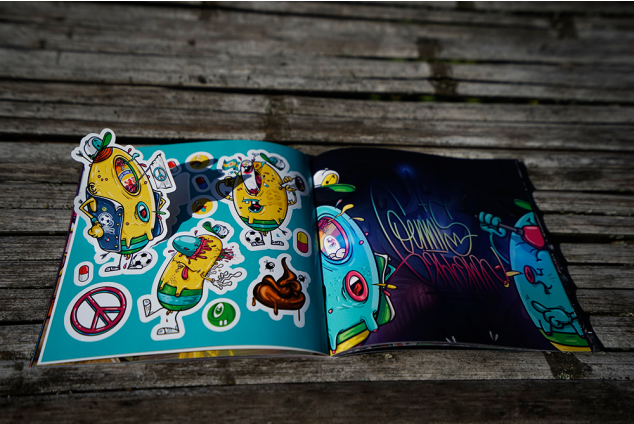 Dennis is an illustrator, graphic designer and graffiti artist. He also loves music, dogs and ice cream. 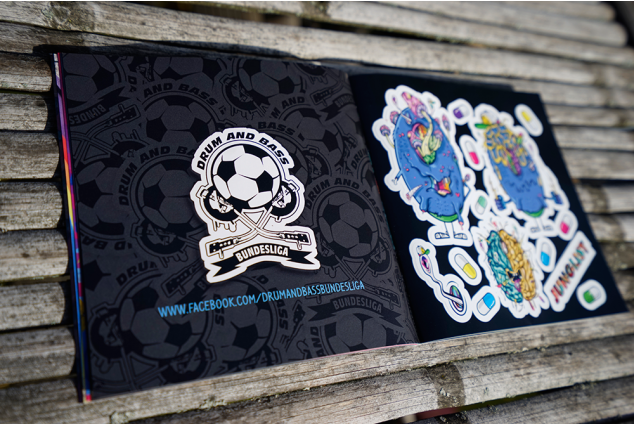 Ly Da Buddah is a dj, producer and the founder of the Drum and Bass Bundesliga. He also loves street art and alcohol. The two friends know each other since their youth. After more than a decade they found a way to mix up their work. 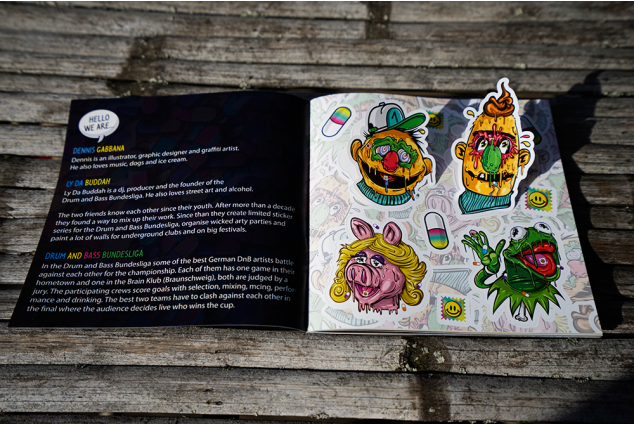 Since then they create limited sticker series for the Drum and Bass Bundesliga, organise wicked arty parties and paint a lot of walls for underground clubs and at large festivals.